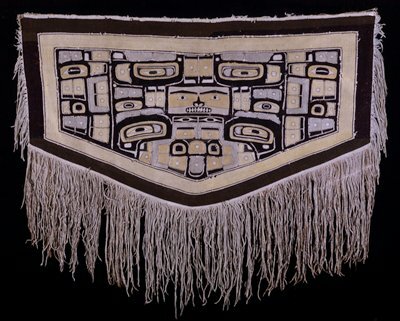 The naaxiin (also known as Chilkat) dance blanket is worn by powerful clan leaders of the Haida and Tlingit Nations. This leadership role was passed down from one generation to the next, and the ceremonial regalia signifies one’s right to command the position. The designs display the identity, prestige, and power of the blanket’s owner. Timed to coincide with the U.S. election, “Next in line?” is a series that highlights how power is transferred or demonstrated among a variety of cultures represented in Mia’s collection.